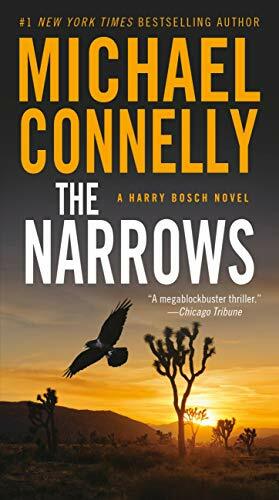 In the depths of the Nevada desert, FBI agent Rachel Walling and former LAPD Detective Harry Bosch must confront The Poet, a terrifying serial killer who leads them down a dark and twisted path. FBI agent Rachel Walling finally gets the call she's dreaded for years, the one that tells her the Poet has surfaced. She has never forgotten the serial killer who wove lines of poetry in his hideous crimes -- and apparently he has not forgotten her. Former LAPD detective Harry Bosch gets a call, too -- from the widow of an old friend. Her husband's death seems natural, but his ties to the hunt for the Poet make Bosch dig deep. Arriving at a derelict spot in the California desert where the feds are unearthing bodies, Bosch joins forces with Rachel. Now the two are at odds with the FBI . . . and squarely in the path of the Poet, who will lead them on a wicked ride out of the heat, through the narrows of evil, and into a darkness all his own . . .
Michael Connelly is a former journalist and author of over twenty books, including the bestselling Harry Bosch series. His novelsBlood Work and The Lincoln Lawyer have been made into major motion pictures. He has won numerous awards for his journalism, as well as an Edgar Award, a Nero Wolfe prize, a Macavity Award, an Anthony Award, and the 2009 Carvalho Prize for his books. Michael Connelly lives in Florida.